Startups get ready to accelerate. 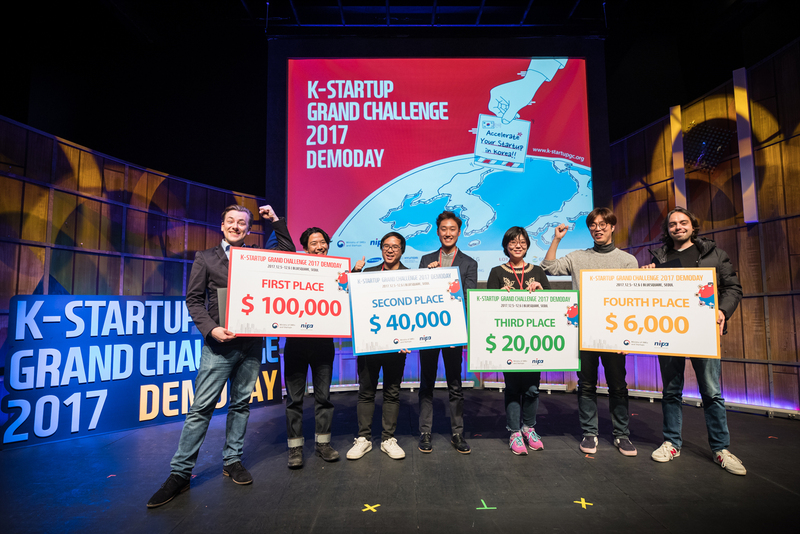 Last year, 1,515 firms from 118 countries competed to be selected for the 2017 K-Startup Grand Challenge, a rigorous startup program in Seoul. 49 of them were selected to participate in a 4 month-long acceleration program and received initial funding and office space. The top 25 teams were then chosen in December at a demo day to receive additional funding of 6 months in order to help them successfully claim their place in the Korean ICT industry. 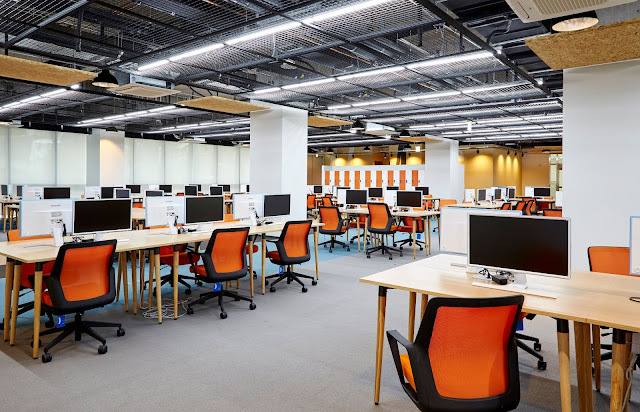 You will work at Korea’s new Startup Campus in Pangyo, located within a walking distance of many of Korea’s top tech companies and just 14-minute subway ride away from the famous Gangnam district of Seoul. You will also receive an office for your team as well as all sorts of equipment and space to further develop your products and services. This includes access to a production space filled with 3D printers, hardware testing platforms, and more. Korea’s largest tech companies will participate in various seminars, workshops, and 1-on-1 mentoring. If you need any help beyond the scope of the K-Startup Grand Challenge program, You can be a partner with these companies and receive resources and their expertise. If you are selected for the accelerating program, We will make sure your Startup Visa acquisition is processed in a timely manner. This is part of the government’s OASIS program, aimed at entrepreneurs. Beyond help with your visa, you’ll also have access to administrative support, translation, and interpretation, to make sure that you can work effectively while in Korea. 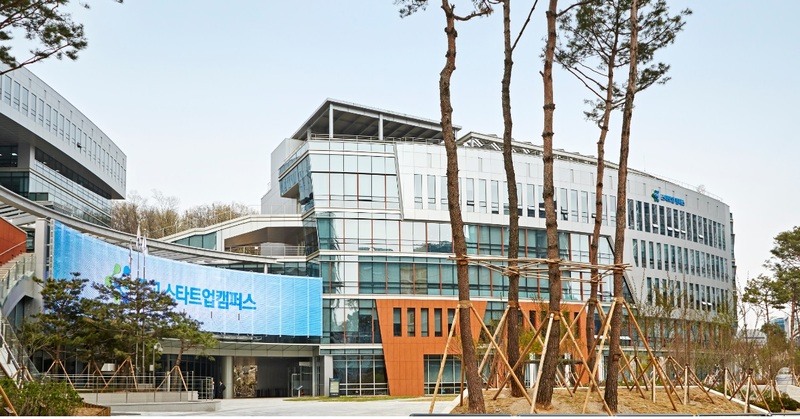 After passing a regional audition, the top 80 teams selected by the judging accelerators will be invited to stay in Korea to participate in a 3½ month-long accelerator program. This program will give you access to free office space, 1-on-1 mentoring, information sessions and coaching on Korean and Asian business culture, as well as other education and consultation on topics like patents, accounting regulations, tax laws, and more. You will also have access to regular networking sessions and opportunities to meet with large Korean companies, eager to partner with your startup. The top 80 teams selected for the accelerating program will receive a total of $11,130 over 3.5 month in equal installments to cover living expenses. The top 40 startups selected will be eligible to receive a total of $22,727 each for settlement in Korea based on their 'Demo Day' and Settlement Evaluation scores. Distribution of funding will be as follows: - Initial Funding: 20% of total funding will be distributed in January - Remaining funds will be distributed to startups that pass the performance evaluation held in April 2019, with 50% distributed in April and 30% in June. The top four teams will be rewarded with grants between $6,000 and $100,000. Impressive startups may also be offered equity investment opportunities from accelerators and local VCs. Furthermore, to prevent any inconvenience, participants will receive funds to cover their living expenses during their stay in Korea.